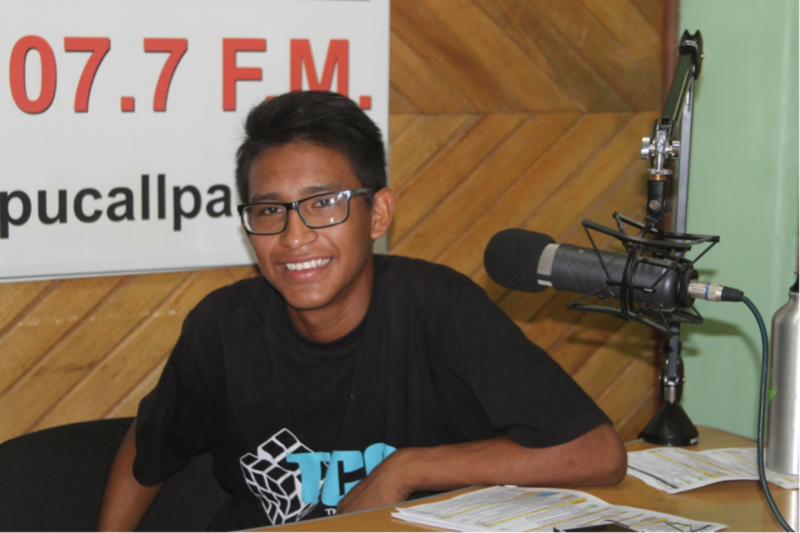 “I had the chance to participate as host in the Radio Program Familiando. I did not only learn new technical skills…Familiando taught me tons of skills and changed me in a good way. The biggest change has to do with the bond of trust I achieved to develop with my parents. Through the Program I was able to question the stereotypes, even some I had regarding gender roles… The call to-actions (community mobilizations) linked to the Program put me in contact with the public; I turned into a mediator, an agent of change. My family was following my process of change, and they changed too…especially my father, the trust between us grew significantly and I now call him ‘my best friend’”.